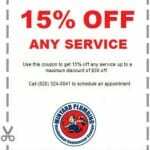 The extra wear and tear your faucets, showers, and toilets will be subject to may cause enough damage that you will have to replace the fixture sooner than you would have to otherwise. Fixing a small leak now will increase the lifespan of the fixture. Leaky faucets and other fixtures also lead to quite a bit of water wasted over time. Even the smallest amounts of water dripping from a faucet will add up over time and can potentially gather and cause water damage in your wall or other structures. Along with wasting water, constant drips and leaks will increase the amount of money you are spending on your water bill each month. While this cost may not increase so drastically that it affects the rest of your budget, it is still an extra annoyance that can be resolved with simple fixture repair early on. 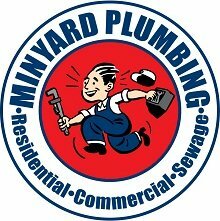 If you notice your shower, sink, toilet, or other faucets are dripping or leaking and need to be repaired, make sure to call us at Minyard Plumbing, Inc. We can help you get quality fixture repair efficiently, so you won’t have to worry about larger problems in the future. Contact us today!